During this most recent bout of super-warm weather I’ve been trying to come up with meals that are cool and refreshing to eat, and don’t require the generation of more heat in my kitchen. 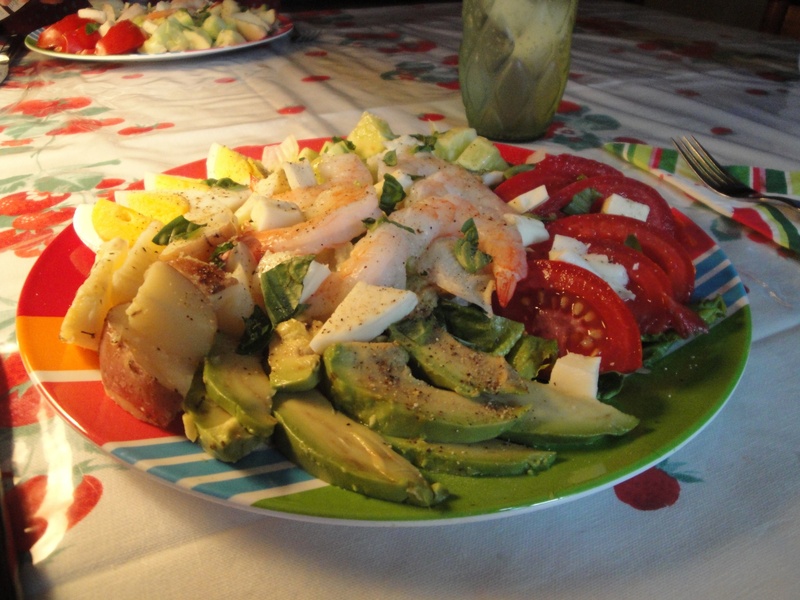 The end result has been a variety of salad plates that incorporate greens, raw or cooked vegetables, hard-cooked eggs, bits of cooked meats like ham, chicken, or steak and cheeses. 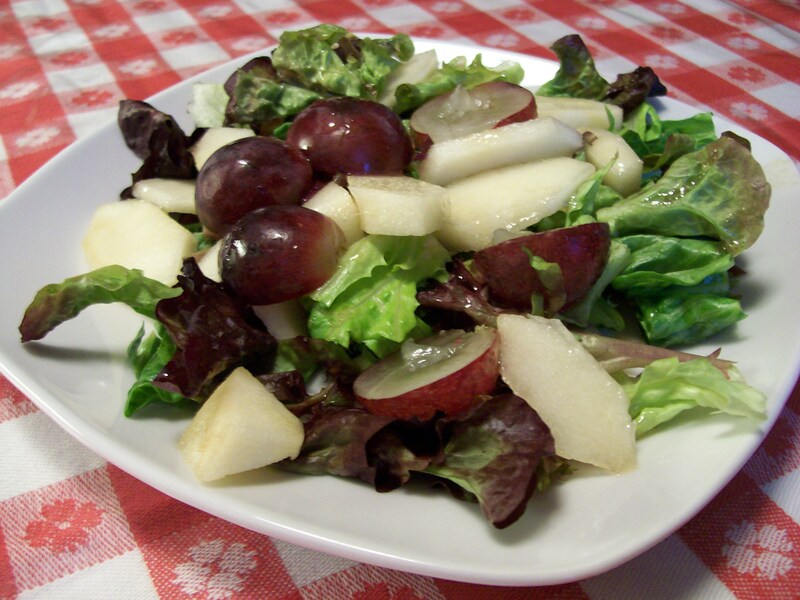 More and more often I’m including fruit in my salad plates, and also in my side salads. In a screw-top jar combine oil, sugar, vinegar, salt, and almond extract. Cover and shake well to dissolve the sugar and salt. Chill. 2. Mixed greens with roasted golden beets, mango, and green onions. 3. Mixed greens with thinly sliced fennel, orange sections and pistachios. 4. 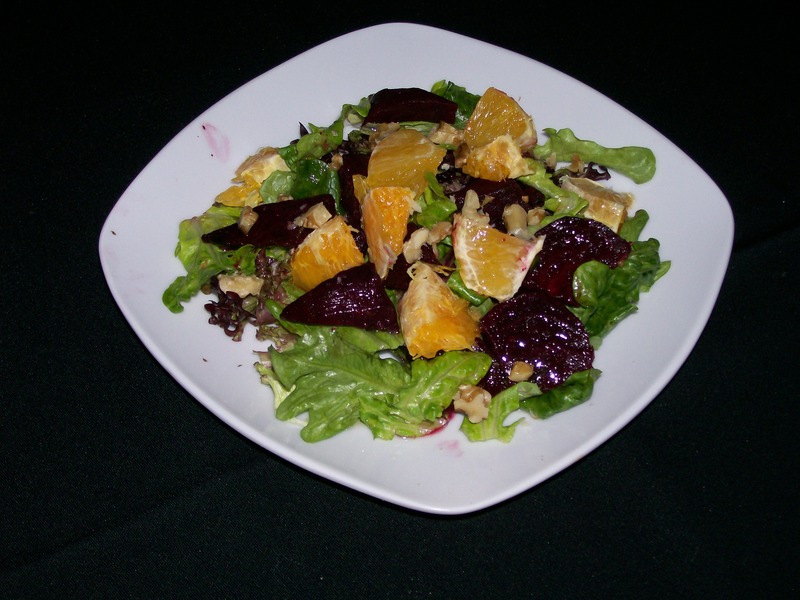 Romaine lettuce, roast red beets, orange sections and walnuts.